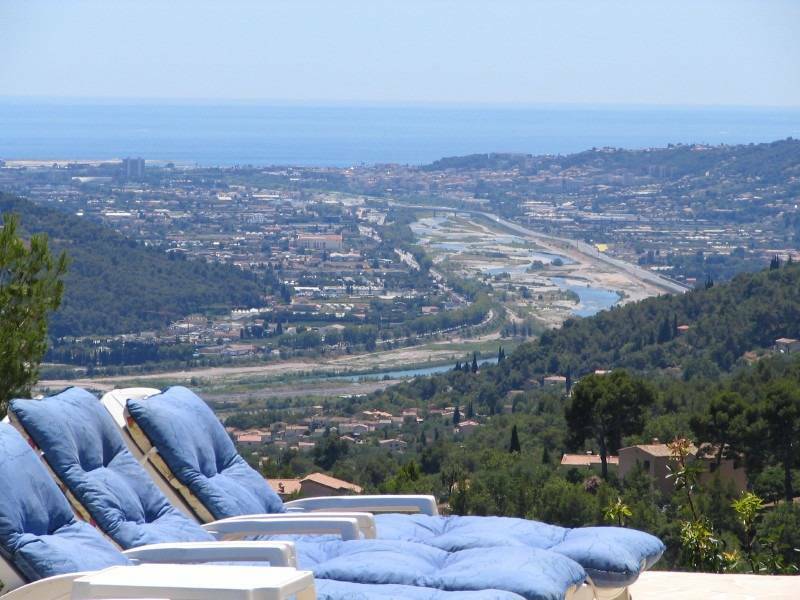 20 minutes from the French Riviera and Côte d’Azur this private summer residence with ocean view to the Mediterranean Sea is for rent. 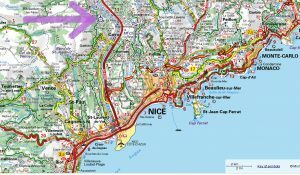 Arrive by airplane via Nice Côte d’Azur Airport and rent a car – or make this the destination for your motoring vacation. The arrow shows the house location by the Riviera. Click on the map to see it in larger format. 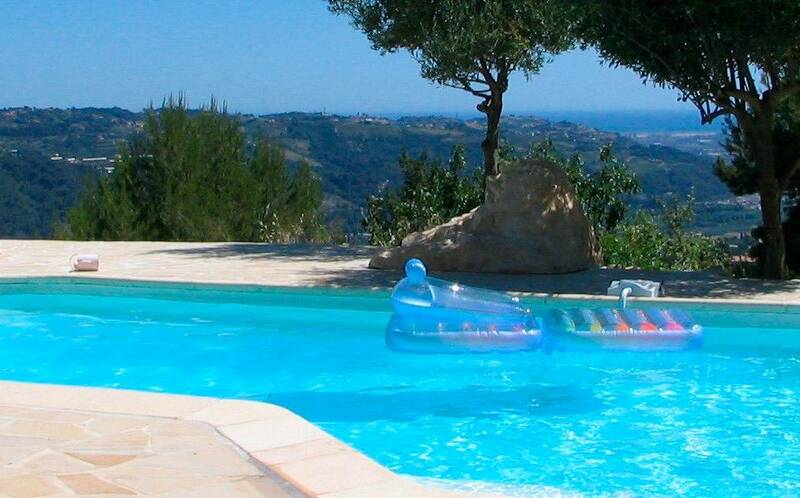 The nearest town to the holiday home is Carros Village located 600 meters away. Here you will find a small super market, a very good restaurant, a pizzéria, and a crêperie. 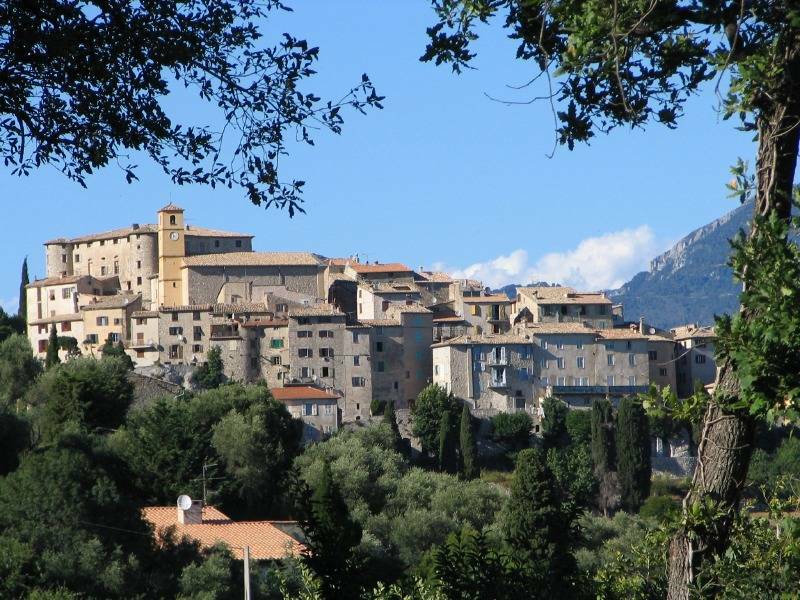 The village is a beautiful medieval town situated on a hill top, which is maintained to perfection and totally unspoiled by tourists. In a 5 km distance lies another medieval town Gattieres, with a good size super market, a pharmacy, butcher, bakery, pizza take-out and 3 restaurants. 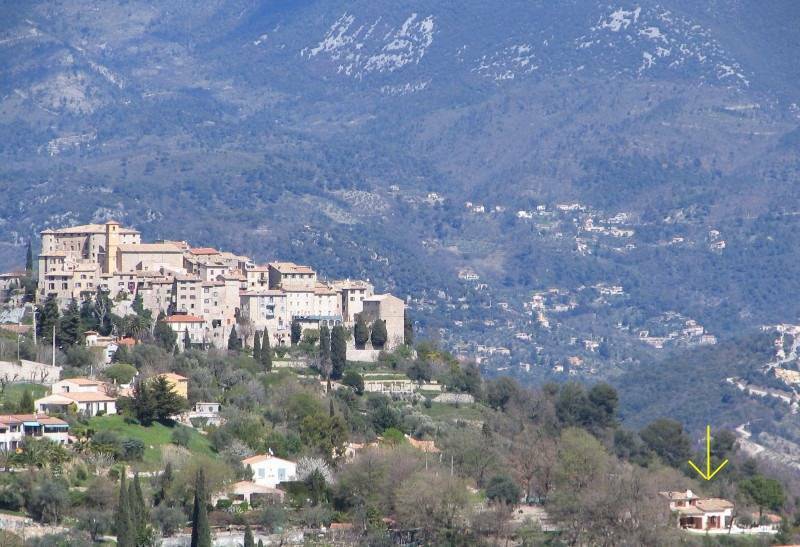 Vence is located 16 km from the house, and here you will find lots of restaurants, galleries and shops. Carros-le-Neuf is located in the valley 5 km from the house with several large super markets, doctors, etc. And Carrefour has one of its mega markets 9 km from the house towards Nice. A new motor highway RD 6202 bis connects Nice with Carros-le-Neuf. 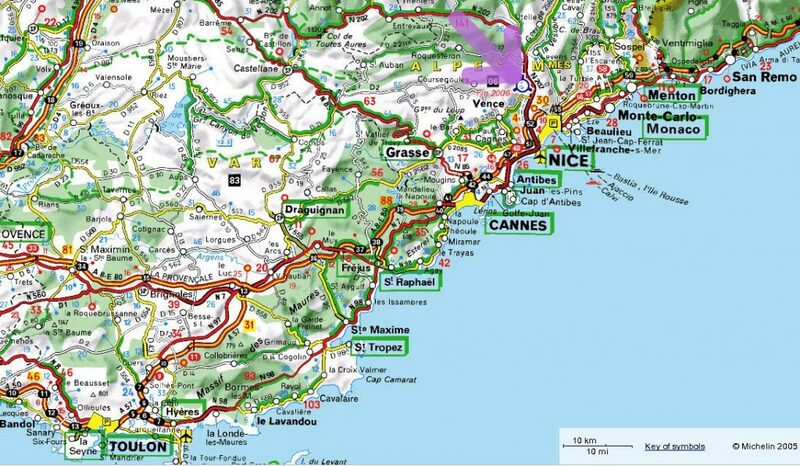 This can be reached in 8 minutes from the house, and from there you can quickly reach all towns on the Riviera. Other distances: Nice Airport 18 km. Nice 20 km. The Beach at St Laurent du Var 18 km. Click here to see a larger Google Maps of the area. Press the zoom (+) button to see the nearby area of ​​Carros Village.